Post Tagged with: "cancel your villa group timeshare contract"
Are you searching for quality advice about defaulting on your Villa Group timeshare contract? Are you wanting to cancel your timeshare contract? Or are you worried about working with a cancellation company? 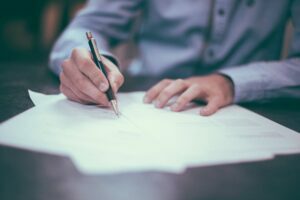 Breaking a timeshare contract is not an easy decision, but defaulting on your Villa Group timeshare contract is not advised, not matter what a timeshare cancellation company tells you. Read on about what breaking a Villa Group timeshare contract. Your timeshare is legally binding if you have purchased your Villa Group timeshare at an official sales room located in Mexico. Timeshare purchases at Villa del Arco, Villa del Palmar Cancun, Villa del Palmar Cabo, Villa del Palmar Puerto Vallarta, Villa del Palmar Flamingos and the Villa del Palmar located at the Islands of Loreto are all genuine Villa Group timeshare memberships. Why is this important? Because, if you have purchased a legitimate timeshare, then you have no grounds for cancellation. Beware of companies online that claim they can cancel your Villa Group timeshare membership suggesting that defaulting on your Villa Group timeshare contract is a good idea. These are fraudulent companies that take your money in return for bad advice. They cannot cancel your timeshare contract with Villa Group or any other legitimate timeshare. Remember that your Villa Group timeshare membership when purchased at the Villa Group sales rooms is genuine and cannot be cancelled. What happens is that you pay money to cancellation companies and they tell you that defaulting on your Villa Group timeshare contract is the only way. Once you do so, you will soon find that you will get demands for overdue payments and not be able to use your timeshare until they are paid. You should carefully examine your timeshare contract to see if you can legally cancel without any penalties occurring. If you do see a clause for timeshare cancellation, then you don’t have to use the fake services of a cancellation company, but if you don’t see any clause, then this means you can’t cancel your Villa Group timeshare contract. There are laws in Mexico that protect consumers and purchasers. You will be given time to cancel your timeshare contract with the Villa Group and this time is called the cooling off period. However, simply defaulting on your Villa Group timeshare contract is not enough; you need to follow the correct procedure for cancellation. First, look at the contract to see how long the cooling off period is. If you cancel during the cooling off period, then you will have no penalties. You could also contact Villa Group to see how long the cooling off period time is. Do you have experience defaulting on your Villa Group timeshare contract? Leave us your comments.